If forced to declare what I love most about marshmallow desserts I would have to say their amazing no-bake qualities. Typically, desserts that involve marshmallows do not end up needing major bake time. A bit of heat on the stove top or the microwave to melt butter, marshmallows or chocolate is really all they take. 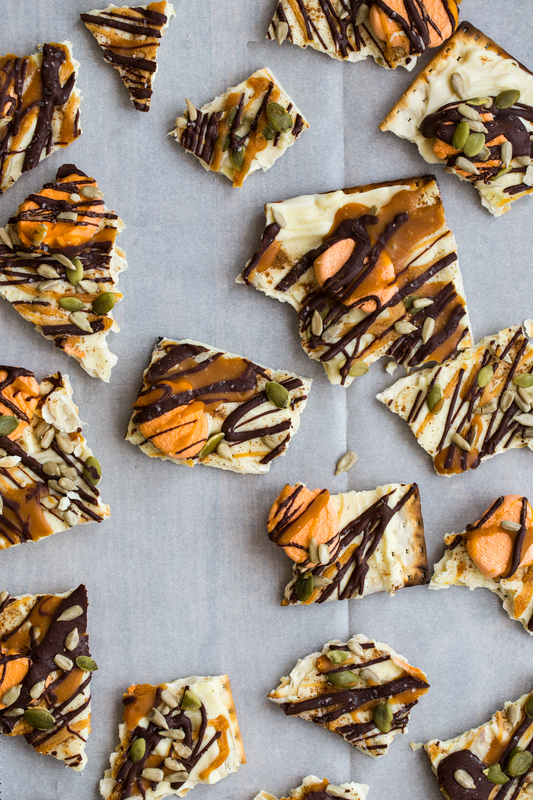 For instance, my Pumpkin Spice White Chocolate Bark. 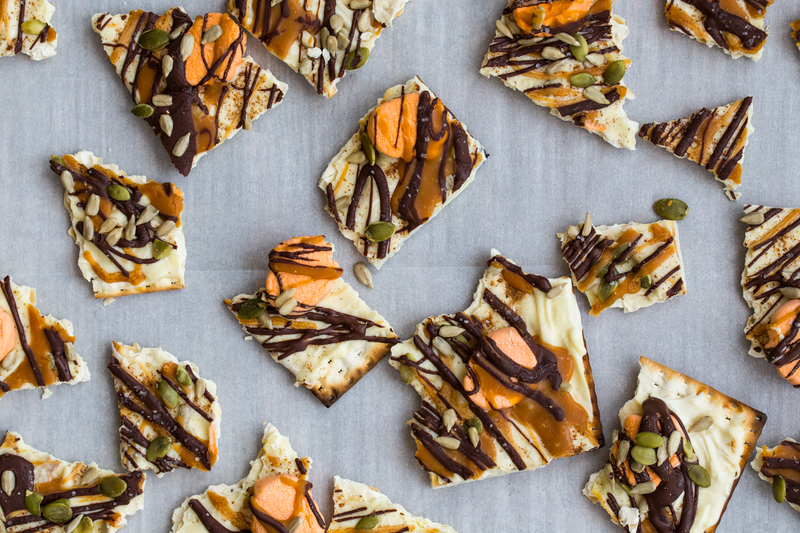 Like many of my bark recipes, it starts with matzo crackers as the base for layers of white chocolate, pumpkin spice, chocolate, caramel, and my new favorite Campfire® Pumpkin Spice Marshmallows. 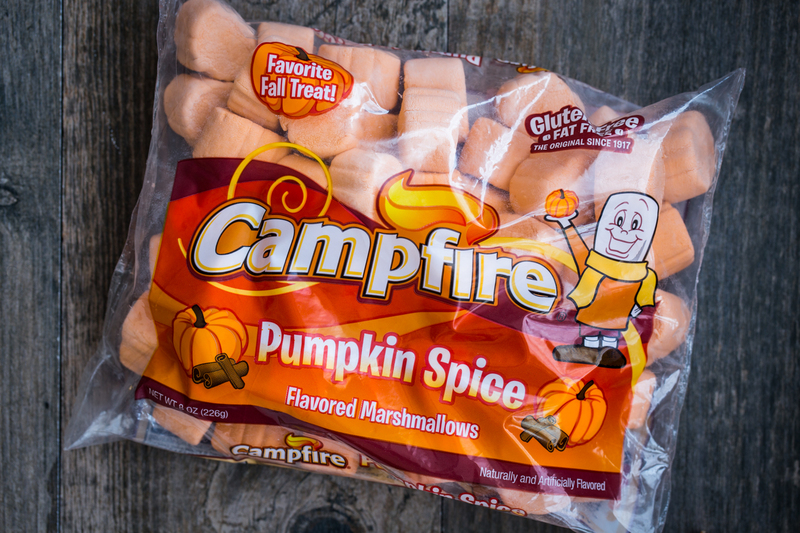 These are a lovely bite sized marshmallow with a subtle pumpkin spice flavor that I admittedly can’t get enough of this season. This bark is fabulously no-bake and completely impossible to mess up. 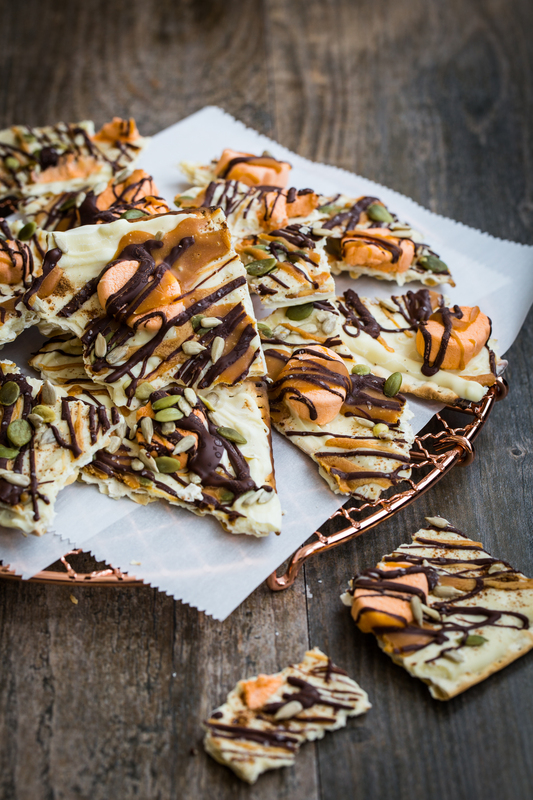 A sprinkle of pumpkin seeds add some great crunch to this pumpkin spice white chocolate bark but pecans, walnuts, or even cashews would be out of this world. I have shared a lot about Campfire® over the past couple of years and they truly are the most delicious marshmallows you’ll taste. Plus, the Campfire® folks themselves are simply awesome. For more information about them, check them out on their Facebook page, their website, and our awesome Marshmallow Madness Pinterest board which is all marshmallows, all the time! 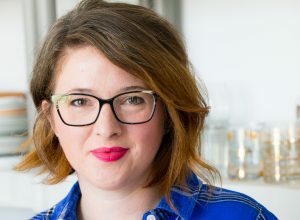 Be sure to check back next week when I team up with Jamie from My Baking Addiction as well as Katie, Kristan, and Lizzy to bring you an entire week of spook-tacular marshmallow treats featuring Campfire®. With Halloween coming up and school parties on the horizon, I think we can all use some fun treat inspiration! 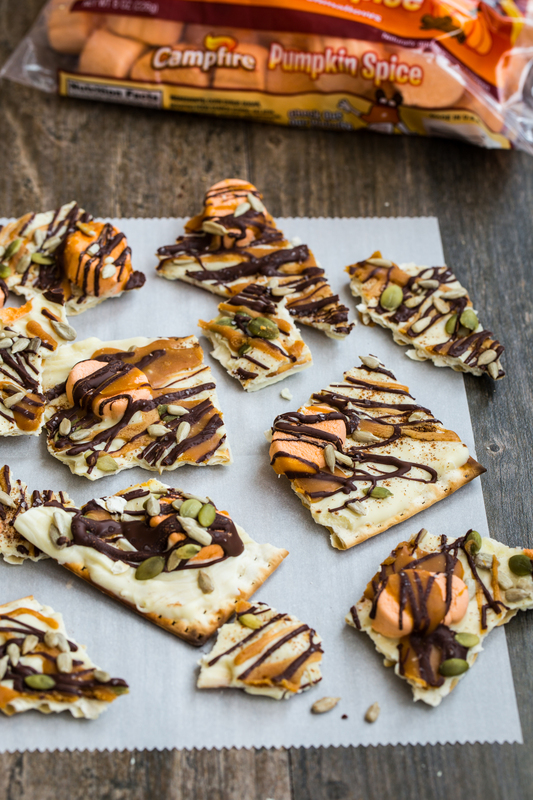 Lay Matzo crackers out on a rimmed baking sheet. Melt white chocolate according to package directions and spread evenly on top of matzo crackers. While chocolate is still wet, sprinkle with pumpkin pie spice and place marshmallows evenly over the surface. Melt dark chocolate chips and caramel separately (according to package directions) and drizzle over bark. Sprinkle with pumpkin seeds and sea salt. Let sit at room temperature until set or chill for 20 minute until chocolate is firm. Break bark into pieces and store in an air tight container.